In the last Indie Series Network and Serial Scoop "Web Series of the Week" (#WSOTW) poll, The Bay was voted favorite web series for the third week in a row. It's now time to catch up on latest episodes and vote for your favorite series in this week's poll. You can also cast a vote for your favorite actor, actress and web series couple/duo. Voting ends Wednesday, December 30 at 4 p.m. ET (one vote per person per day). 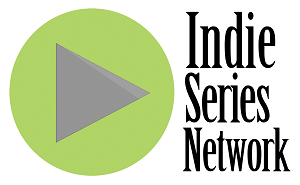 Web series that aired one or more new episodes from December 19-25, 2015 are eligible. If a web series aired this week and is not on the list, cast your vote as "Other" and write in the name of the show. - AFK Episode 9 "PHAT LEWT"
- Anacostia Season 4 Episodes 4 "What Happens In Vegas", 5 "R.S.V.P", & 6 "Do Unto Others"
- Archives of the Heart Episode VI "Wanted Company and Self Realizations"
- Classic Alice Episodes 111 "Sense and Sensibility" & 112 "Confessional: Andrew"
- End of Term Episode 12 "Perry"
- How I Seize It Episode 198 "Holiday Memories"
- Jill & Jack Episode 23 "Christmas Pukes of Joy"
- Match Not Found Episode 12 "A Christmas Carol"
- Mayhem Episode 11 "Everything Aint For Everybody"
- My Lengua Episode 5 "Español"
- My Two Roommates Episodes 6 "Grace Valerie" & 7 "Christmas"
- Triangle Season 2 Episode 12 "Disclosure"